The ShopUp in Los Angeles — this coming Sunday & Monday! Our Los Angeles ShopUp event is finally happening! 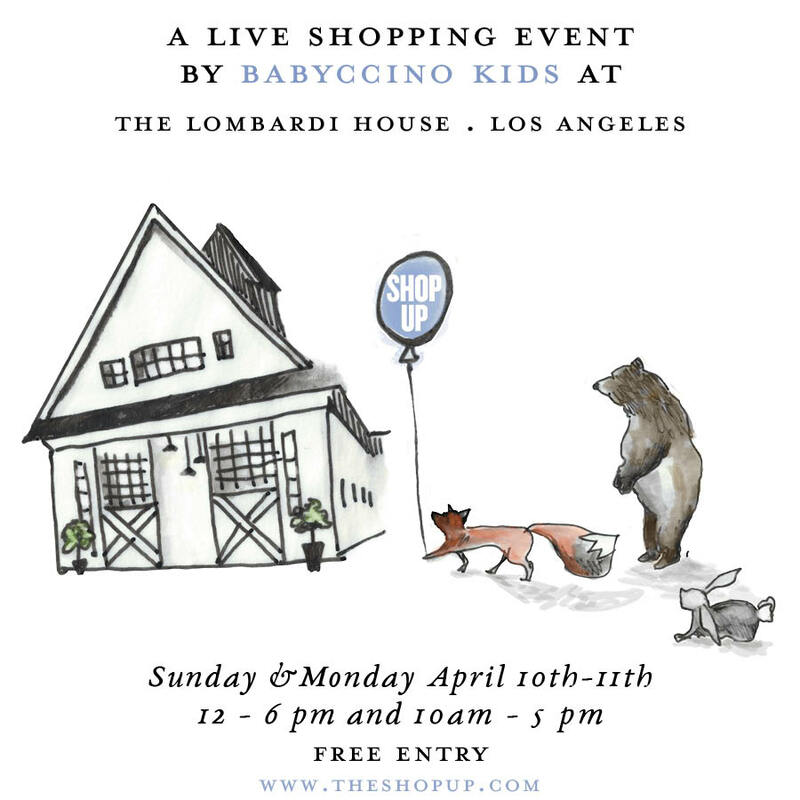 The ShopUp takes place this coming Sunday and Monday the 10th & 11th at the beautiful Lombardi House in Hollywood. We can’t wait to get all of our stylish shops together in this stunning venue for the very BEST shopping imaginable. Our partner charity, mothers2mothers, will be there giving visitors the opportunity to make a $5 donation and write a mother’s day card to a mom in Africa (and be entered to win a Kalon Studios field tent!!). We’ll have delicious food and drinks from: Moon Juice, Blue Bottle Coffee, The Green Truck, Cool Haus, Sprinkles (Sunday), and The Pudding Truck (Monday). British American Household Staffing will be onsite to watch your little ones and keep them busy with some fun activities while you shop! You can get family photos taken by our in-house photographer, Red Anchor. Makers Mess will be set up inside the barn with crafts. On Sunday you can make paper people and flower prints with the kids (walk-ups welcome). On Monday they’ll have cool crafts for mammas with 11am mini weaving and 2pm pom pom garland making. RSVP required. Mischievous Goddess will be on-site with tutus, wands and crystals for the goddess in us all. Passported has created dedicated LA guides featuring our favourite things to do/see/eat in the city which will be handed out at the welcome table. We’ll be selling a limited number of custom ShopUp LA tote bags for $10 each. First come, first served! The Photo Booth backdrop and beautiful entryway installation is being made by Happenings Co.
It’s really shaping up to be our best event yet. The event is free and open to the public! April 10 noon-6pm, April 11 10am-5pm. RSVP not required but you can sign up here for pre event announcements. We look forward to seeing you there! p.s. 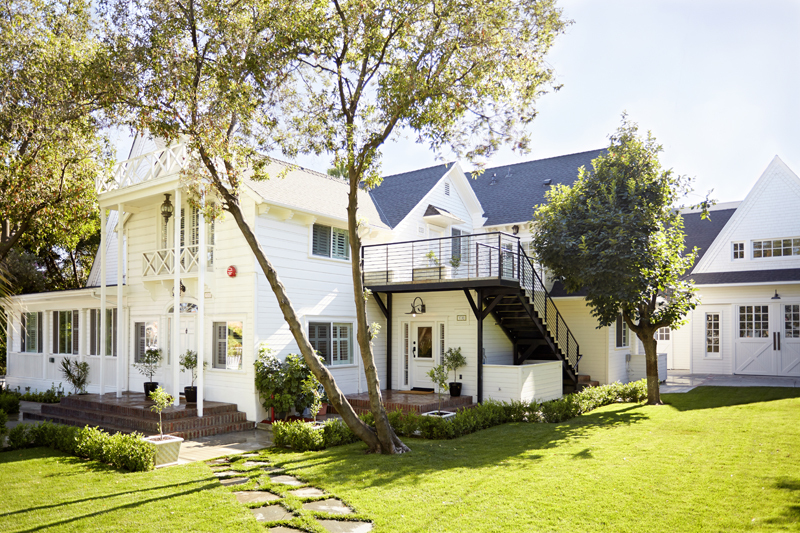 There’s limited parking available down the street from the Lombardi House at 5963 Carlos Ave, LA CA 90028. There’s also plenty of street parking in the neighbourhood. I wish I could go!!!!!! Please do one in Amsterdam soon!